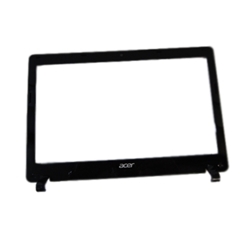 Description: New genuine Acer Aspire black lcd front bezel. This may be the replacement part you need if your bezel is scratched or broken. Compatible Part #'s: 60.MFQN7.005, EAZHL005010.